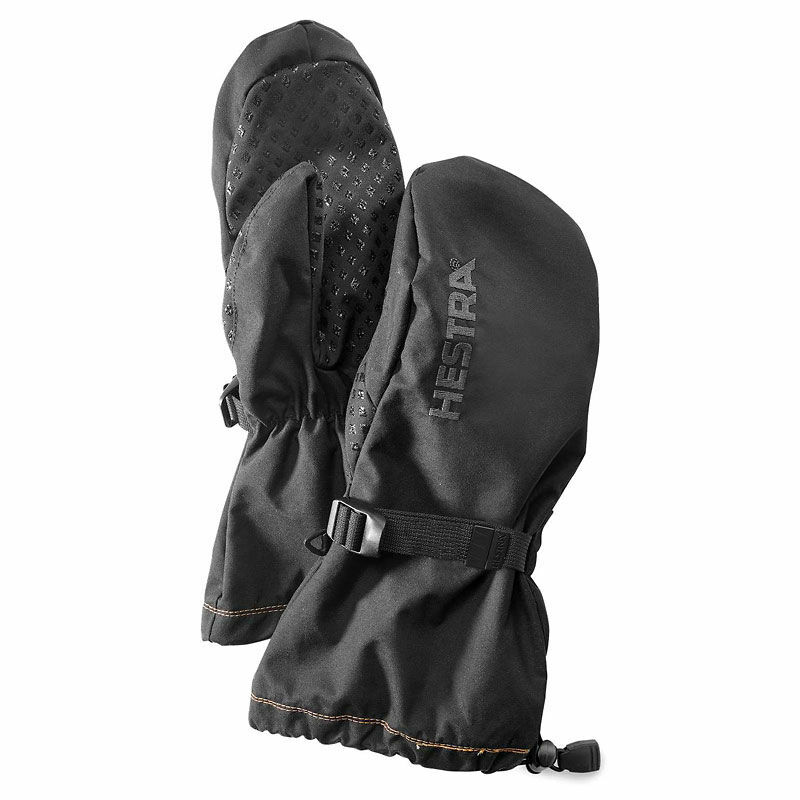 The Hestra Pullover Mitt is a protective shell mitten that can be used as a warming layer over the top of your existing glove or mitten in extreme conditions. Made from a windproof, waterproof and breathable outer fabric, these mitts provide complete protection against wet snow and rain. Features include a grip coated palm for ease of use in poor conditions, along with an adjustable wrist strap and an elasticated cuff to keep out snow. Their supple material makes them easy to roll up and be carried in a pocket for when you need them. 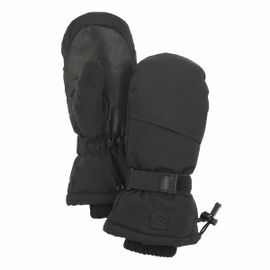 As a protective outer mitten, they are perfect for use over the top of the Hestra Primaloft Mitten Liner. Hestra Pullover Mitten - Black is rated 5/5 based on 11 customer reviews. I used these as overmittens on a week-long ski trip in the Swedish winter woods (-5C to -20C). I used them over my regular mitten combo (Lovikka and the old stalwart white army mitten), either for extra warmth or to keep them dry when digging shelters. They also work over the lovikka when skiing. I would hesitate to carry these as my only outer mitten in the woodlands for firewood, woodstoves and saws these activities would presumably kill them fast. For a late winter trip in the mountains they should work well over a suitable wool mitten. I normally wear size 10, but got the size 11 fit perfectly over my regular mittens. 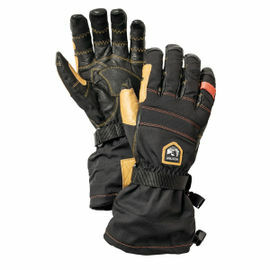 They appear to do what they do well, but don't confuse them with a more durable outer mitten. Last year I made a couple of orders from the Woodlore website and had not returned a single item. Service was top. By the way, I found some products to be cheaper on some other sites, but I decided to go with Ray and his team (Paul C. especially). I even paid a cost for delivery to Belgium. Why? Because they care. They deserved it! I thought size 10 was large but it is XL. I am Going to order another for pair my wife in size 8. Good gear. 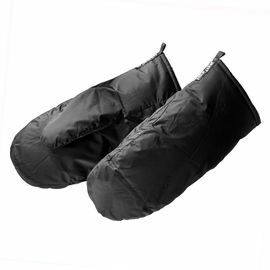 I Bought these to provide a layer of warm air over a pair of well-used Hestra Guide gloves (which are superb.) Lots of winter mountaineering and ski touring. The Pullover Mitts are light, well-made and functional. They have tiny triangular plastic ringlets sewn into the entrances which are just enough to add wrist loops or cord loops to allow you to secure them with a krab - good habit to get into , my mate had a similar glove evaporate in front of our eyes when he fumbled them with the map in 40kt winds near the top of Mam Sodhail last month. What else to say? 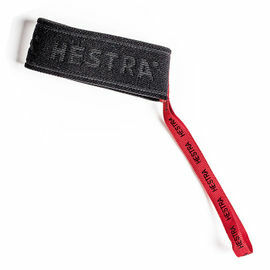 Hestra quality. I was surprised that the seams on these mittens weren’t taped. I was concerned rain would get in and that would be a bad thing. Needn’t have worried. They work as described. The fabric is not the most breathable planet but given that you’ll be wearing other gloves inside, this isn’t a major drawback. I’ve used them in some pretty rubbish weather and they provide excellent overall protection. The grippy palm works well as do the wrist straps and gauntlet draw cords. As ever, a note on sizing - whatever the chart says, go UP a size. I have searched for a long time for gloves that would be somewhat waterproof, would be big enough to fit my thick felted wool mittens and most importantly to go over my Fjällräven Barents Parka. 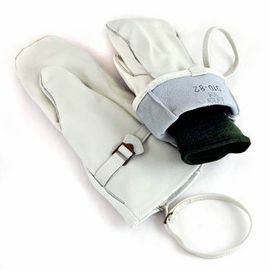 Usually I would need to buy a 2 sizes larger gloves to get cuff that is large enough. These mittens are go over my jacket very well and I can tighten the gloves around the jacket with the draw string to get snug fit. I use normally Hestra 8 or 9 size gloves and I bought these gloves in size 8. Here's my observations about the size: The gloves fit over my Hestra RSL Comp alpine racing gloves that are size 9. When used without any inner gloves, they are still useable. I would not buy size 7. They fit my thick felt wool mittens perfectly, making a good winter glove. 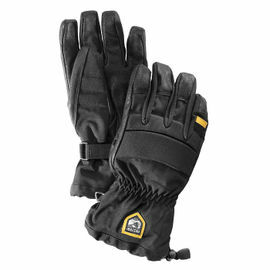 The seams are not taped into these gloves, so even though the fabric is waterproof, the seams will eventually leak when you are handling wet snow. I will rate these gloves 4/5, 1 points off for untapped seams and I would like synthetic waterproof leather in palm size for better grip and for better durability. What a great product. I used these for snowboarding to keep hands warm and dry. 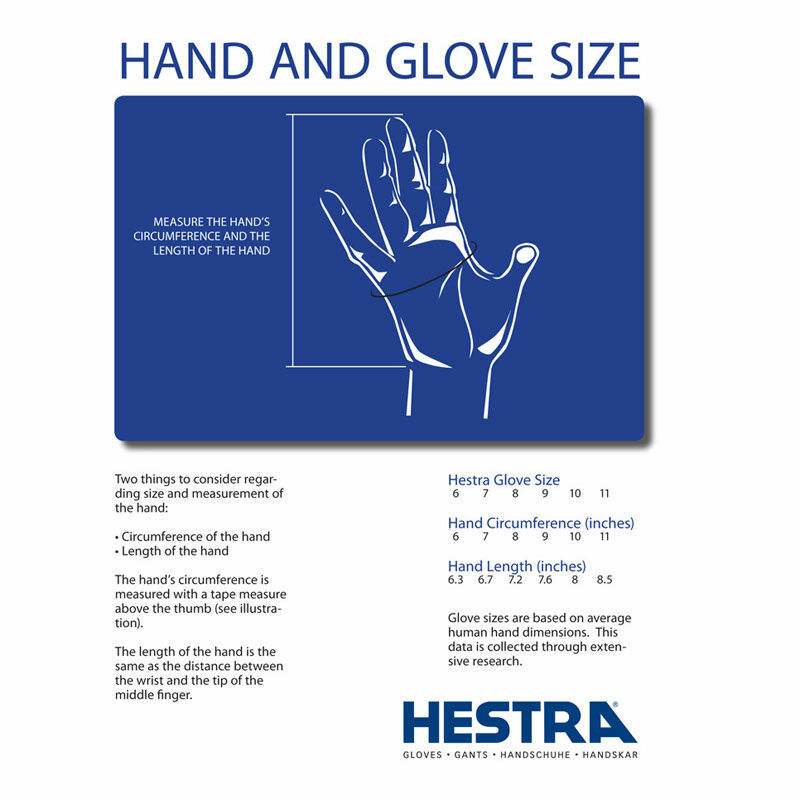 I ordered a size down on my Hestra gloves, this seemed about right. 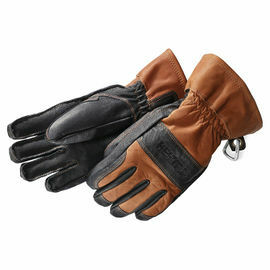 Perfect over-mitt gloves that go over my downhill gloves when the weather is wet and sloppy. Keeps gloves mostly dry. Got these mits earlier this month and wore them on cold days (-18C) over my Hestra Falt Guide Gloves on a ski trip in Austria. They worked fine keeping my hands a bit warmer and keeping the snow out of my sleeves. Of course you loose a bit of dexterity when wearing multiple gloves over each other but it was no real problem. Sizing tip: my Hestra gloves are size 9 so I got the Hestra Pullover Mitten size 9 as well and that fits nicely. Quick service from the Ray Mears web shop crew.